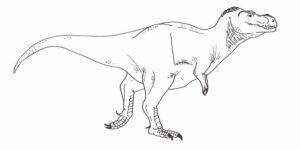 It’s now widely accepted amongst paleontologists that birds are living dinosaurs. This idea is actually not nearly as new as it appears, and was thrown around by paleontologists as far back as the late 19th Century. It took a long time to catch on though, over 100 years in fact. 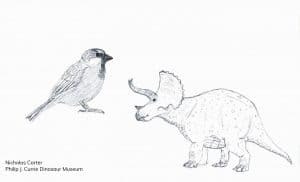 Yet for at least the past decade or so at least, the ‘birds are dinosaurs’ theory has been accepted by all but a few fringe dissenters in the world of paleontology, no matter how much of a debate the media often makes it out to be. 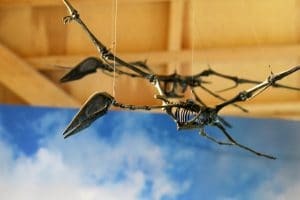 Anyone who’s ever heard of a dinosaur almost certainly also knows about the pterosaurs- the flying reptiles that often serve as window dressing or to give a sense of scale to depictions of dinosaurs in prehistoric artwork. They also, to the eternal exasperation of paleontologists, get labeled by the media as ‘flying dinosaurs’. But the pterosaurs deserve better, and the study of their diversity and biology makes for a fascinating look into the Mesozoic Era. 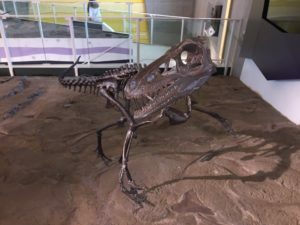 Have you ever encountered a big predatory dinosaur in a book, museum, movie, etc., and ventured to identify said dinosaur as a Tyrannosaurus, only to be informed by some dino-obsessed little know-it-all (like your humble author) that what you thought was good old T. rex is actually Carcharodontosaurus saharicus, or Tarbosaurus baatar, or some other unheard of prehistoric beast? 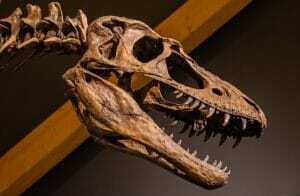 When did paleontologists name so many other dinosaurs? A lot of us grow up learning only the ‘fundamental’ dinosaurs of kid’s books and Spielberg movies. You have Brontosaurus as the long-necked one, Triceratops as the horned one, Stegosaurus as the weird spikey one, throw in some generic hadrosaurs bathing in the background for scenery, and T. rex as the big nasty bad guy. 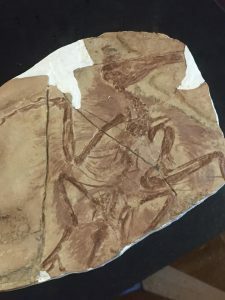 In the last article, we talked about the taxonomic confusion surrounding North American troodontids, and how this uncertainty is just now being resolved. 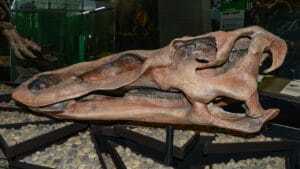 What might come as a surprise to many readers is that the common hadrosaurid dinosaur Edmontosaurus, also known since the early days of paleontology in North America, has just as convoluted a history. 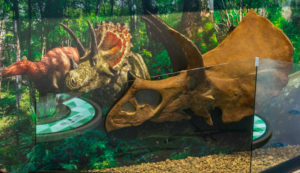 It’s taken some miraculous discoveries and a lot of effort from paleontologists both past and present to work out the classification of this dinosaur and to overturn the myths and misconceptions surrounding its biology. 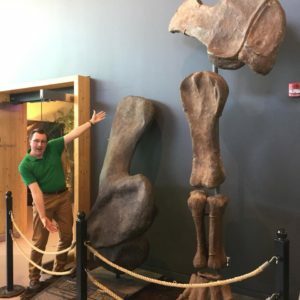 Edmontosaurus, in turn, has rewarded paleontologists with a better understanding of dinosaur biology than nearly any extinct animal. 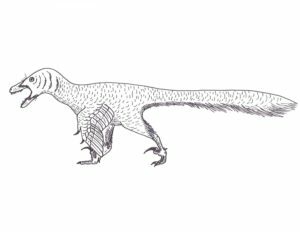 What’s Going On With Troodon? It’s a precarious gamble in paleontology naming a new species of dinosaur from a single, isolated tooth. Things get pretty confusing after a while, which is why modern paleontologists don’t really do this anymore, and use unique, diagnostic features in the bones plus the teeth of fossil animals as a basis for describing a new species. A good example of this can be seen in the story of Troodon, a dinosaur many people think they know… But do we really? So What IS a Dinosaur, Then? Is your favourite dinosaur the sail-backed Dimetrodon? Or is it one of the wonderful flying pterosaurs? Or maybe it’s one of those sea-going dinosaurs, perhaps a type of long-necked plesiosaur or a shark-like mosasaur? If you’d say any of these are your favourite dinosaur, I have sad news- these creatures, though wonderful in their own right, are not dinosaurs. Hopefully I didn’t lose any paleontology specialists there.